We have to be clear from the start about the leading rightwing opposition force the MUD (Democratic Unity Roundtable) – a cabal headed by Venezuela’s old ruling families like the Capriles that are currently lynching Chavistas in the streets and making veiled appeals for a military coup. But it is not enough to oppose these reactionaries; we have to figure out the best way to defeat them. Therefore, this is a preliminary attempt to define what a more successful socialist political movement requires in Latin America. The immense popularity of Chavez was due to his redistribution of the oil wealth through programs such as this government subsidized food store (photo: 2005). A reported 9 million turned out for Chavez’s funeral. 2000 – mobilized the military to provide food aid, vaccinations, and basic upgrades in sanitation in many working-class neighborhoods. Chavez’s policies answered some of the material needs of a population that at that time had a poverty rate of over 55%, but he did not directly challenge capitalism as a political economy, nor did he completely cashier them out of government, despite crafting a new Constitution. However, his programs and he, himself, were hugely popular, and for good reason. In 2001, Chavez began to nationalize the oil industry to fund everything from public housing to adult literacy programs. It was then that a concerted effort began on the part of Venezuela’s oil and mining families, as well as the U.S. state department, to oust him from power. They failed to remove him in a botched coup in 2002, and open economic sabotage. 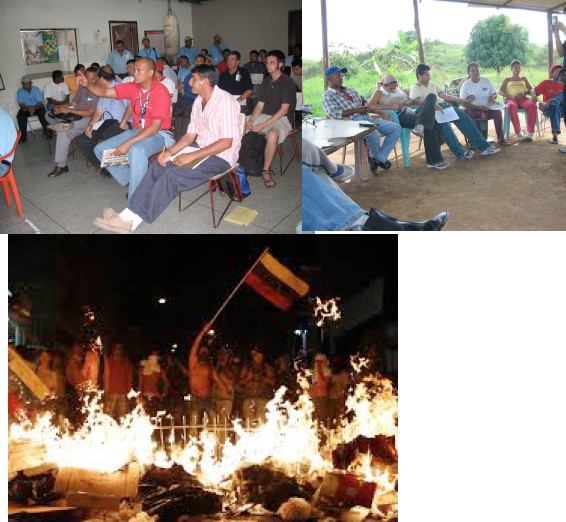 It was these events that pushed Chavez to the left. 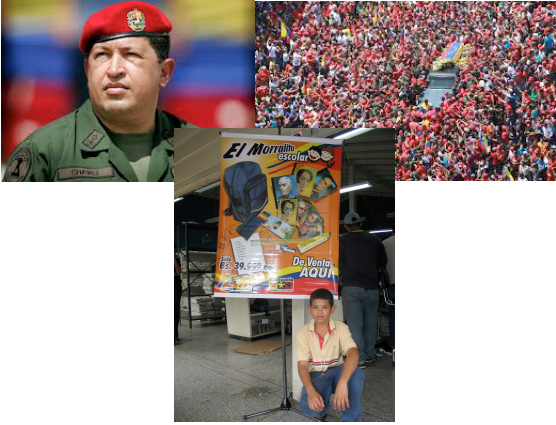 In 2006 formed a new party, the PSUV to help build what he called “21st century socialism”. By this time, he had already reduced poverty in the country by at least 25%, and increased the number of doctors in Venezuela to 20,000, up from just 1600 in 1999. But the PSUV has not overthrown capitalism. While they have nationalized the oil industry, and intermittently supported workers co-ops, they have never moved toward a planned economy and the prerequisite public control of the commanding heights of the economy and public control of investment. In effect, the PSUV has been engaged in an 18-year New Deal. They are the stewards of a messy, ad-hoc subsidization of the Venezuelan working-class rather than a working-class party in-itself running the economy. The oil dependency could only have been eliminated through a systematic plan for the economy, one that was democratically managed and controlled by the working class itself. But this would have required the complete overthrow of the “free” market, meaning of capitalism itself. Nothing less, no half-measures would do. Failing to do this, the regime’s social measures were dependent on high oil prices. Chavismo has in fact been entirely dependent on oil revenue to provide welfare, and here we come to the crux of the current economic and political crisis. The PSUV is entirely dependent on a healthy global oil market, including American consumption. Thus, while they present themselves as a socialist bulwark against American imperialism, the Chavistas actually pushed Venezuela toward even greater dependence on global capital. Since world oil prices collapsed in 2013 – and have yet to recover – the government has had to slash social spending and layoff thousands of public employees, and reopen the country to greater foreign investment through Special Economic Zones and prioritizing the repayment of foreign debt. It is a powerful example of the impossibility of socialism in a single country. There is also the question of whether, because of climate change, workers themselves won’t be paying back what oil revenues gave them. 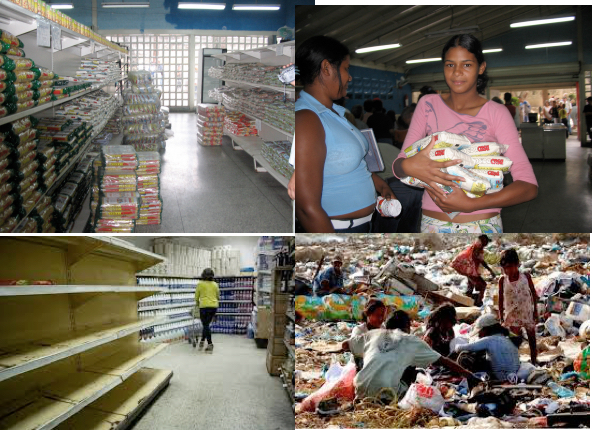 There is a related failure of Chavista economic policy that proves, to quote a recent article in Jacobin, “the situation that prevails is not the result of too much socialism, but too little.” For years the PSUV has maintained a complex currency exchange system, that in effect allows people to purchase U.S. dollars from the government below market value. The basic hope was that through this exchange rate the government could indirectly control prices. In fact, however, just the opposite has happened: the exchange rate has allowed massive black markets to develop for nearly every conceivable good, including food and medicine. In other words, by simply trying to subsidize workers’ buying power rather than directly overthrow capital, the Chavistas have actually enlarged the scale and depravity of the free market in the country. Venezuela is now dealing with 700% inflation. 90% of the population is not receiving enough to eat every day. Top photos: A government-run subsidized food store for poor Venezuelans. It had fully stocked shelves and was an example of how the oil wealth of those days was used to help the working class. Below: But when oil prices crashed, the result was economic disaster. From empty store shelves to people forced to pick through garbage dumps for food. The MUD seems bent on a violent overthrow of the PSUV. How else to explain their boycott of the July 30 vote for a Constituent Assembly (to draft a new constitution) called for by Maduro? But what was Maduro’s reason for calling for this election? Bear in mind, it comes after the PSUV lost the last National Assembly elections (in 2015), following which Maduro tried to dissolve that assembly and was then forced to retreat. So it does seem to be a parliamentary maneuver meant to overcome both the minority status of the PSUV in the National Assembly as well as the general unpopularity of Maduro, himself. One of the first acts of the Constituent Assembly has been to rubber-stamp opening the Arco Minero, a region of the Venezuelan rainforest that is home to both indigenous communities and much of the country’s freshwater supply. (Bear in mind that the supposed purpose of any constituent assembly is to draft a constitution, not to legislate.) The military has been displacing villages there and the ministry of defense has set up its own company that will mine and drill the Arco, called Caminpeg. In addition to the government’s 2016 promise to compensate the Canadian gold-mining company Barrick for Chavez’s expropriation of its local assets, the re-invitation of foreign oil companies likely spells the end of Chavismo, even if the PSUV survives politically. If he comes to power, will Capriles follow in Uribe’s footsteps? seems some MUD leaders have been indirectly encouraging a coup. The military remains an independent political force in Venezuela, and the PSUV never solved this problem. Two institutions Chavez never seriously reformed were the police and the armed forces (FANB). Instead, he took an approach of sharing power with them, giving privileges to FANB companies and appointing military officers throughout the bureaucracy. They are, in essence, a big part of what some have termed the “bolibourgeoisie” (bolivarian economic elites). As of right now, 11 of 23 state governors and 11 of 30 ministry heads are current or retired generals. For the moment, the military is with Maduro, but almost more as a political ally rather than government machinery subordinate to the executive. As the crisis deepens, it is quite possibly they shift their weight to the forces of reaction. Top left: Union workers meeting to discuss their issues. Top right: conference of rural workers. Bottom: MUD in action. The top two photos were taken in 2005, the bottom one from today. Which Venezuela will prevail? the Maduro government. The United Nations Human Rights Office reported that 5,050 people have been arbitrarily arrested. They wrote of “credible reports of cruel, inhuman or degrading treatment by security forces of such detainees, amounting in several cases to torture, including, “electric shocks, beatings, suffocation with gas, and threats of killings, and in some cases threats of sexual violence”. While socialists have no sympathy for the MUD types, such methods of the unpopular Maduro government will inevitably also be used against the wider working class in general. In decades past, revolutionary waves swept through Latin America. In more recent years, rebellions against neoliberalism were expressed in the “pink tide”, bringing left wing governments into power from Brazil to Argentina. They differed from the Chavez regime, but were similar in that half measures were taken. The result was that almost all of them were swept away. 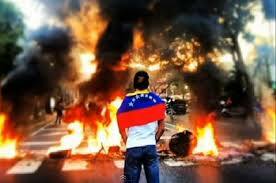 Will the government that Chavez initiated, one that went further than the others, fall to the same fate? Or will it turn, as did the old PRI regime initiated by Lazaro Cardenas in Mexico, and become a right wing dictatorship? Or will a new revolutionary wave overcome the present processes? From afar, we cannot even hazard a guess. But the result will affect far more than the people of Venezuela. General Kelly and Federal Grand Jury: A “Conspiracy Theory”?